You should already have seen around there small crochet animals not really, they are called amigurumi which is the name given in Japanese. For those who do not know, amigurumis are small crochet dolls with an immense variety of types and may even be collectible. This being a fever for decoration of child's room or even in adult room depending on the drawing. They are made of felt inside and are hand made crochet. Many people avoid doing it by looking difficult but it is not so exaggerated so, everything in life requires dedication and a little persistence. 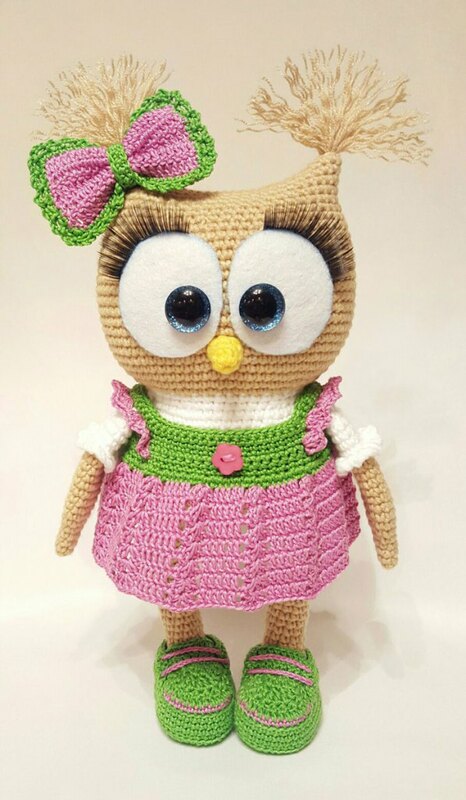 You who loves crochet crafts can not fail to take the opportunity to have a beautiful crochet owl. They are cute and can be made as you want in the colors you prefer, you need training to do perfectly but nothing you can not, because they are not difficult to do. I love crafts and I always dedicate myself to crochet because I love doing it, always looking for information and news. 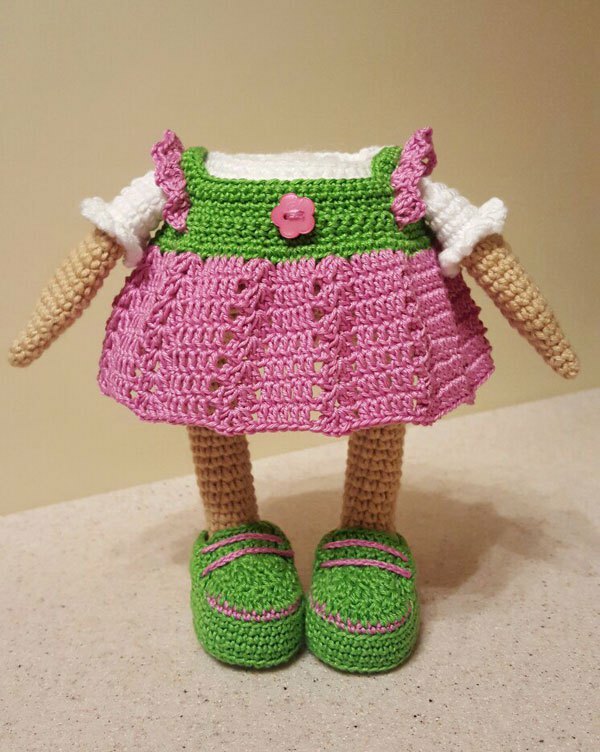 Well, I hope you like this crochet pattern just as I was in love. This is a very creative and successful work in Japan for a long time, but it was only in recent years that it began to become more and more popular all over the world. Being used as both decorative objects and children's toys, amigurumi generally mimic animal or human forms. They are made by hand, in an artisan work that involves persistence and enough creativity. The best part is that currently it is possible to find various recipes available to make the most beautiful little dolls. In addition, you can make amigurumis to sell to friends, colleagues or even the internet, giving a complemented in your income so having more money doing something you love. Before I learn a little more about the world of amigurumis I leave a tip: I know that most here know how to crochet but I will say that anyone who already knows how to make some crochet hooks or chains can be easier at the time of doing so you who are in the beginner level will be able to do this pattern. However, for those who are lazy in crochet you should learn some basic points to get a practice and to do as well is not an impossible job. Always keep an eye on our step by step because we always leave news for you here on the site. If you already have some experience with crochet for sure will be easier to make these pets. So let's go? Before you start talking about the technique and pattern for making amigurumi, you need to know that your first jobs probably will not go very well as desired. It is natural that in the first few times you get lost in the dots and the doll is a bit crooked. But do not despair! That's pretty common, especially when it comes to crochet, is not it? It is with time that you become more and more skillful and quick with the needles. And for sure you will not regret it, after all, the amigurumis are beautiful pieces that can yield you a beautiful granite at the end of the month. Below you will find the link to the step by step written a link of the pattern available free of this beautiful pattern plus all the information of abbreviations, colors, lines and needles. Do beautiful work. Do not forget to enjoy our page on facebook and stay always knowing the news, the fanpage is Xell Crafts. Good job to all.